Fishing in the Everglades this week has been filled with great, non stop, action! When we left my dock today, we headed south to fish the Lostmans river area , for redfish and trout. The first spot we stopped at, was an oyster bar, in the mouth of the river. The oyster bar has been holding a lot of nice sized redfish . The bait that we used today, was a live shrimp, under a popping cork, which works best for catching redfish this time of year . 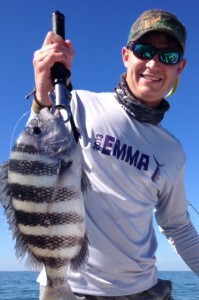 After a few minutes of casting out our bait, we scored with a nice sheepshead, that tipped the scales at 7 lbs ! After catching a couple more sheepshead, the redfish started to moved in. We caught 14 nice reds, that were in the 4 to 9 lb range. Later on in the day, when the tide was rising, we stopped and fished a grass flat. At the grass flat, the trout fishing provided us with some great non stop action! 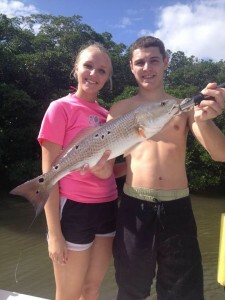 Don’t miss out on some great fishing! Give me a call, and let me take you on the water for a great day of fishing!